Our centre is easily accessible via car, taxi and public transport with easy access to the Brisbane airport link. A Brisbane CBD address with the best in virtual assistant services. 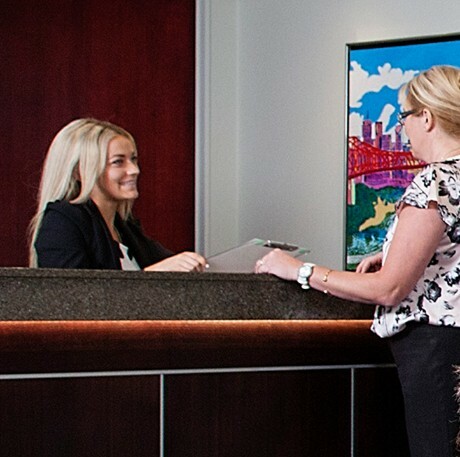 Our serviced office complex is located in Milton, only minutes from the Brisbane CBD. Milton Business Centre offers a prestigious location in the Brisbane Metropolitan area. Our serviced office complex is located in Milton, only minutes from the Brisbane CBD and all of the major CBD businesses giving you meeting rooms close to the city. An inner-city business address with all the perks of an executive office. Flexible Brisbane based meeting space hire for your next conference or business meeting. Full receptionist and communications services allow you to focus on what's most important. When you use our serviced offices you get access to our full reception services including answering of phones in your business name, mail collection and dispatch as well as a professional greeting at the front desk for any clients or prospective customers when they visit your office. When you contact us about our serviced offices, we can have you up and running and ready to work within 24 hours. No waiting around for real estate agents or the lengthy contract periods you get from renting or leasing – just a simple month-to-month contract and you’re on your way. When you use our office space you’re not only in Inner City Brisbane, you’re also just down the road from iconic locations like the Regatta Hotel, the XXXX brewery, Suncorp Stadium and a wide range of restaurants and stores. We have long term, dedicated staff available at your disposal. Tech issues? Need someone to answer the phones? You name it, we can help. 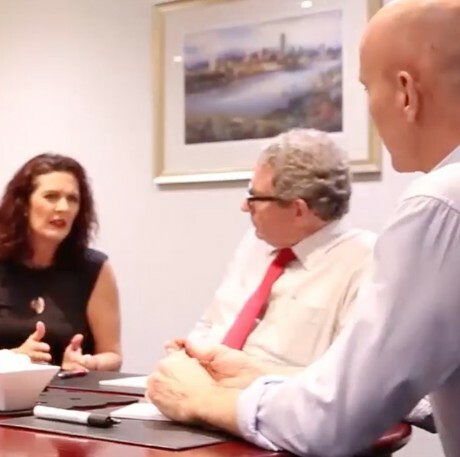 Milton Business Centre offers impressive corporate boardrooms, meeting rooms and video conferencing facilities for hire in Milton close to the Brisbane CBD. Our flexible layout is combined with the latest technology and complemented by a professional team, to assist with every business requirement. Our centre is located on Coronation Drive in Milton. With several meeting rooms, board rooms and video conferencing facilities at your disposal we can accommodate all your meeting and training session needs. Hourly, half day and full day rates are available. Inner-city Brisbane office space – your own serviced office. With fewer overheads, the ability to easily expand and access to world class facilities, our virtual office services help you to manage your business remotely and eliminate the hassles of operating a fixed office suite and associated staff. With our virtual office location in Brisbane, you’ll receive your own local telephone number, corporate address and have access to all of Milton Business Centres meeting and boardroom facilities. Our highly qualified, experienced receptionist team will answer your business calls professionally in your company name. Postage, parcels and faxes can be coordinated through Milton Business Centre for your business. We take care of the little things ensuring you have time for the big things. I am writing to highly recommend Milton Business Centre after facilitating a successful workshop for my client there yesterday! Some stand out features were - the layout and cleanliness of the facilities, boardroom inclusions, proximity to everything and ease of parking. Above all, what I was most impressed by was actually the exceptional customer service shown by our contact - Kyle Brown. Sadly it's not easy to find these days! From the moment I arrived Kyle was attentive and warm in his approach and consistently delivered a professional and polished service. Facilities and service were great. Price was very competitive. MBC staff went the extra mile for us, helping people we were meeting with find us. Pleasant, professional space. Their pens are great too! It was perfectly set up for our needs and the staff were always friendly and helpful. I appreciated the well-stocked kitchen, with quality tea and teapots! It was great to have a relaxing space to catch my breath in between sessions. Our central, inner-city location means you benefit from Brisbane’s excellent public transport, bikeways and boutique coffee shops. We help you focus on what's most important - your business day. Milton Business Centre helps you focus on what's most important - your business day. Our executive suites are fully furnished, air-conditioned and ready to make your working environment a rewarding pleasure. Your telephone will be answered by professional support staff in your company name and your mail delivered and collected for you – leaving you to enjoy the panoramic views of the Brisbane River and Mount Coot-tha and get on with the running of your business.